Audi opened a proposed new niche in Paris with the TT Sportback concept. PARIS -- As luxury car sales grow, premium brands are racing into new segments to capture buyers. Luxury-segment executives at last week's Paris auto show made it clear that they intend to attack new corners of the business as high-end customers emerge with nontraditional expectations. Infiniti unveiled in Paris a full-size fastback concept, the Q80 Inspiration, saying it will lead to a production model with a hybrid powertrain in the coming years. 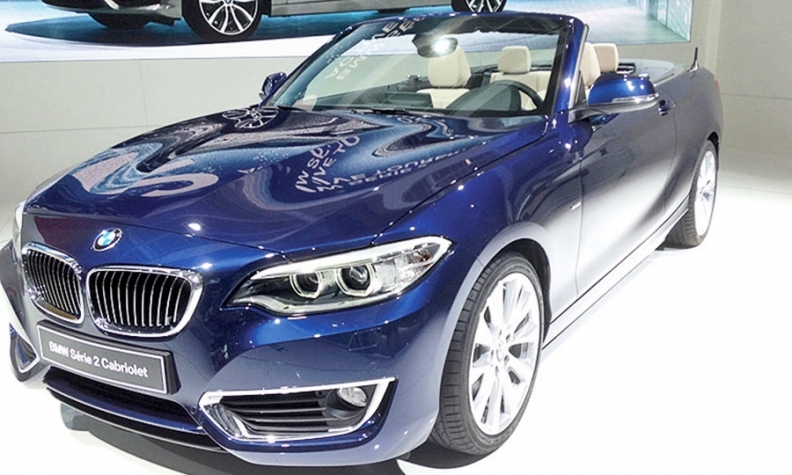 BMW presented a drop-top version of its newly introduced 2-series car -- a convertible alternative of the model that itself is a slightly larger and roomier version of BMW's small, racy 1 series. 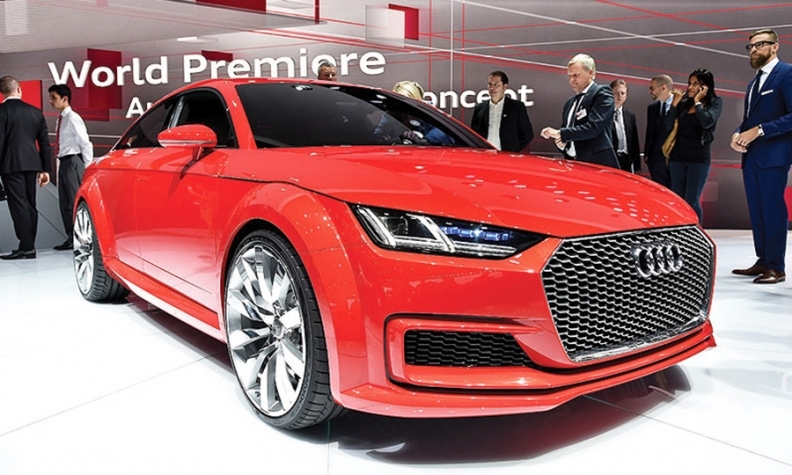 And Audi opened a proposed new niche in Paris with the TT Sportback concept. It is a slightly longer five-door version of its iconic TT coupe. Audi plans to add at least 10 model variations to its lineup during the next six years, bringing the total portfolio to 60 models. "America is getting more affluent," observes Scott Keogh, CEO of Audi of America. "If you look at the percentage of households that are going to be $100,000-plus, it's actually growing dramatically over the coming years." Luxury's percentage of the overall vehicle market is trending upward as well, Keogh forecasts. "Historically, 10 percent of the total market has been luxury. We see it moving up to 11.4, 11.5 percent in 2022 or 2023. That's why we see this opportunity." U.S. luxury brand sales rose 8 percent in September from a year ago, totaling 144,947 vehicles. This year, sales in the segment are rivaling volumes from the prerecession period of a decade ago. New customers also are pouring into the market, adds Alfonso Albaisa, Infiniti's global design chief -- particularly from China. This month, Infiniti began offering an extended-wheelbase version of its current flagship sedan, the Q70. That model was undertaken at the request of Infiniti's Chinese operations. "There is a new wave of young, entrepreneurial consumers who want something different from traditional premium vehicles," Albaisa says. "They seem to be totally willing to pay for what they want, and we have to give it to them." Infiniti and Mercedes-Benz will offer a family of newly designed compact premium models in the next four years from a new assembly plant the partners are constructing in Aguascalientes, Mexico. BMW presented a drop-top version of its newly introduced 2-series car -- a convertible alternative of the model that itself is a slightly larger and roomier version of BMW's small, racy 1 series. Stephanie Brinley, industry analyst with IHS Automotive, says the growing proliferation and fragmentation within the luxury field is made possible in part by a greater use of shared architecture and parts. "That enables variations at affordable levels," Brinley says. "Customers are asking for more, but they don't always know what 'more' is. Manufacturers are working hard to find and offer that. Luxury makes are expanding and bending the rules of what many segments are." Cadillac has announced it will add the CT6 to its lineup, a model that will reach over its existing line to serve as a large, technology-loaded flagship to compete with the most expensive nameplates from Cadillac's German luxury competitors. Cadillac also has declared that it will produce rear-wheel-drive entry-level luxury models, a move to differentiate itself from the new lower-end offerings from Mercedes and Audi, such as the front-wheel entry-class Audi A3 and the segment-threatening Mercedes CLA. Those vehicles are part of the same wave of diversification. High-end manufacturers are pursuing emerging luxury sales in lower-priced niches. Dave Guilford, Mike Colias and Rick Johnson contributed to this report.